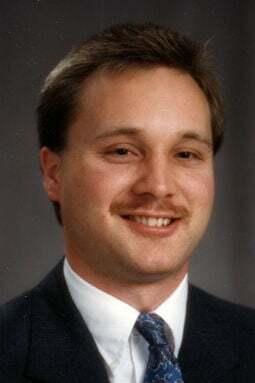 Phillip D. Arp, age 54, of Council Bluffs, Iowa, and formerly from Yutan, died at his home on Friday, March 29, 2019. He was preceded in death by: his grandparents, Frederick and Leora Arp and Edwin and Catherine Friede. Phillip was survived by: his parents, Allen and Mary Kay Arp of Yutan; sisters, Julie (Troy) Veach of Eagle, Idaho, and Melissa (Todd) Heithoff of Elgin, Nebraska; a brother, Michael (Julie) Arp of Elkhorn; and numerous nieces and nephews. Phillip worked for over 30 years at MidAmerican Energy in Council Bluffs, Iowa, as an Operations Manager. Funeral services will be held at 10 a.m. Thursday, April 4, at the Reichmuth Funeral Home in Yutan with Rev. Michael Morin officiating. Burial will follow at the St. James Cemetery near Mead. Visitation will be from 4 p.m. till 8 p.m. at the Reichmuth Funeral Home in Yutan with the family present from 6 p.m. till 8 p.m. In lieu of flowers, memorials can be made to Community Alliance for suicide prevention and left or mailed to the funeral home.